This secluded and rare oceanfront home (MLS# 245061) has a wide open floor plan, hard wood floors, two large bedroom suites (each with full bath), a large open vaulted living area, and a modern kitchen—all with stunning, wide open ocean views and with attention paid to architectural details. Being sold “Turn Key,” the estate includes all household furnishings. 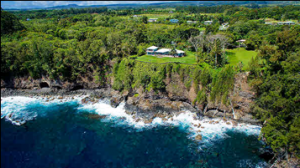 Located on the beautiful Hamakua Coast, this single-level home built in 2004 is competitively priced and is move-in ready. 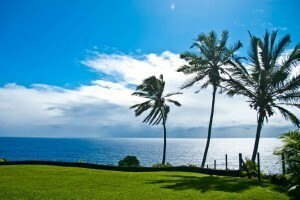 Offered at $1,640,000, this property is fully fenced and landscaped with over 150 palm trees of 25 different species. 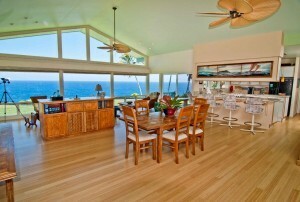 Lounge on the lanai and watch the sun set into the ocean with your own private sea cliff in front of you. This is the life, can you feel it? Contact me for a tour or more information.